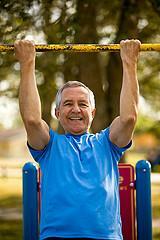 If you are looking for a physical challenge, you should add pull-up exercise to your workout routine. This exercise will target your upper back muscles, helping you to achieve a well-defined and sculpted look. The pull-up exercise is another of the classic resistance training moves which requires minimal equipment, yet can achieve maximum results. All you need is a pull-up bar which you can easily install in a doorway frame. The movement is simple. Grip the bar with your palms facing away from you. Suspend your body from the bar using your arms. Then, pull yourself up so that your head is higher than your hands. Complete the exercise by lowering yourself to your starting position. The exercise specifically targets your latissimus dorsi muscle of your upper back, also engaging the muscles of your arms as well as the trapezius muscle of your middle back. The latissimus dorsi muscle extends from your middle spine to your upper arm bone or humerus. This muscle makes it possible for you to adduct, rotate, and extend your arm at your shoulder. The primary benefits of the pull-up exercise is strength training for the muscles of your middle and upper back. This will improve your posture and support your abdominal muscles. Other exercises targeting this area of your body require weights. With just a pull-up bar and the weight of your body, pull-ups are a convenient and easy way to get in an effective workout. Don't worry about doing a lot of reps, especially at first. This exercise is one in which the reps are few. The standard form of the pull-up will likely provide you with enough challenge. However, if you are looking for a more intense workout, there are several variations which will increase the burn. One way you can do this is by adding weight.You can either use your feet to grasp onto weighted dumbbells or wear a dipping belt. A dipping belt is a nylon strap which you wear around your waist. A hanging chain provides a place to attach a weight plate rather than using your feet. You will probably be surprised at how little weight you need to add for an additional challenge. Remember, you first have to be able to lift your own weight before adding more weight to the exercise. If you have considerable upper body and shoulder strength, you might try pull-ups using only one arm to lift up. Naturally, this is an advanced move, requiring tremendous muscular strength. To avoid muscle strain, only do this variation if you have a spotter to assist you. On the other hand, you may find that you can only do just a few pull-ups. The negative pull-up can help you get to a point where you can do a few repetitions. With the negative pull-up, you will do this exercise in reverse by beginning at the uppermost position and then lowering yourself down. This move can be an effective way for you to build strength if you find the standard variation too difficult. The emphasis with the pull-up is to build strength. Thus, numerous reps for toning are not the object. In many ways, this exercise is similar to weightlifting. The movement is slow to avoid jarring and muscle strain. You will do few reps in several sets, with adequate rest intervals in between. To give your muscles time to recover, you will rest at least one day between workouts. Adding pull-ups to your exercise program is an effective way to build strength and definition in your upper body. It engages many of the muscles of your back and arms, making it a complete upper body workout. As with any workout, you should begin slowly, listening to your body if you experience any discomfort from doing this exercise. Over time, you will be able to do an exercise that many consider one of the ultimate tests of fitness.